How are you feeling about coming back to Hong Kong? I’m always excited about coming back to Hong Kong. The energy is fantastic and I always wish I could stay longer. Do you think that Hong Kong – being the cultural and ethnic melting pot that it is – plays into your comedic style and gives you more scope to comment on the mixing of cultures? Hong Kong absolutely plays well for my comedy. Everybody is here. I don’t think people in North America realise just how multi-cultural Hong Kong is. Your new show on Netflix, The Indian Detective, seems to be really resonating with audiences. With you showing a new layer of talent, it must be validating for you to see it do well? I’m really happy with the response to the show. We’ve been developing it for almost five years and it went through a lot of changes in that time. Even though everyone does their best, you never know what people are going to respond to. I’m not sure if there’ll be a season two, but the positive feedback has been very satisfying. It’s fair to say that we’re in a time of deep political and social upheaval. Do you feel pressure to weigh in on certain topics as a kind of commentator yourself? And do you feel as though you have to watch what you say in case it’s misinterpreted? As a comedian, I can’t really ‘watch what I say’. If I start thinking that way I can’t do my job. It’s actually my job to talk about the world and the way I see it. I’m not intending to offend anyone and can’t be responsible for people who take offense. You started stand-up back in 1989, what made you want to give it a try? I didn’t know what I wanted to do with my life and a cousin suggested that I try stand-up, so I went to an open mic at Yuk Yuk’s [comedy club] in Toronto. I was terrible but I got a couple of very small laughs and I was hooked. 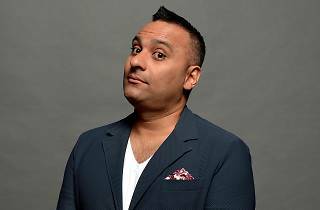 How does your on-stage persona match up with the everyday Russell Peters? 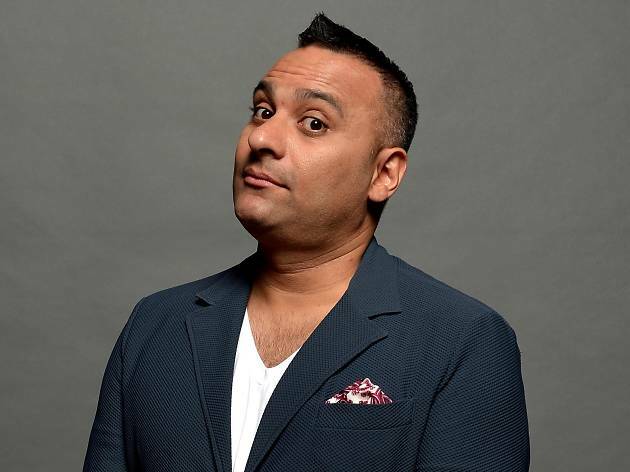 Alot of comedians intentionally swear more on stage or position themselves as being ‘edgy’ in their rhetoric and delivery. On-stage I speak the same way that I speak off-stage. I don’t censor myself. There are some guys that work clean and pride themselves on it. It’s not my thing. I don’t swear for the sake of swearing and I’m not an intentionally ‘dirty’ comic either. I’m just me.